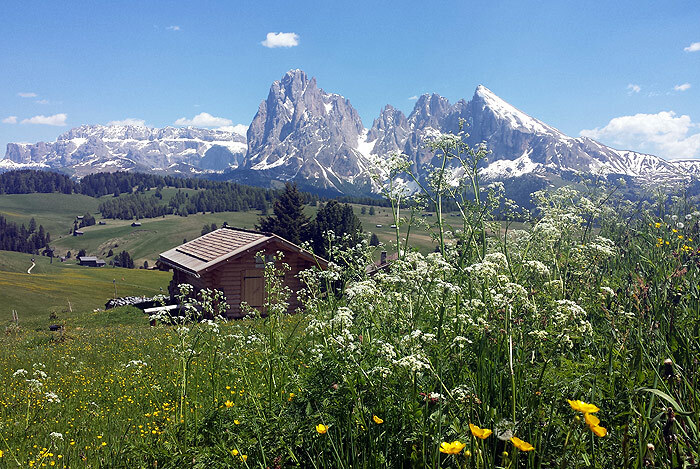 The Alpe di Siusi offers numerous top-quality tourist accommodations for your mountain holidays in the South Tyrolean Sciliar area. Are you looking for a luxurious 4 star spa hotel with swimming pool and gourmet restaurant? Or do you prefer a cosy, quiet bed and breakfast or apartment for your family vacation? Or do you wish to spend your long-desired holiday on an idyllic farm? On this portal you will find the right offer for a pleasant stay in the UNESCO World Natural Heritage. 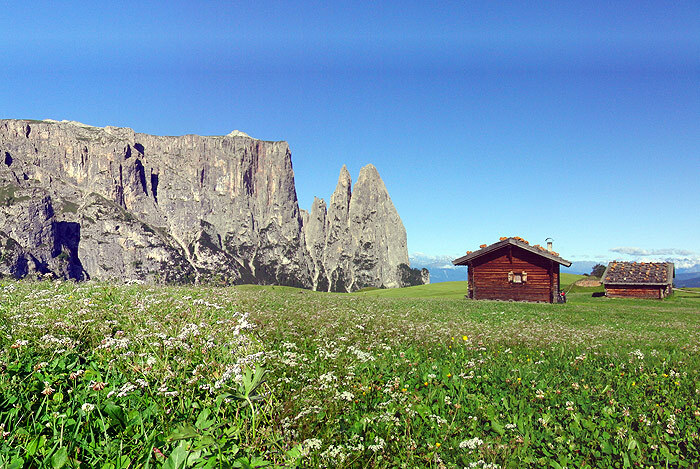 You will also get useful information about the holiday region Alpe di Siusi, about the offered leisure and sports activities, tradition and culture, events, sights and useful phone numbers and addresses for your holiday in South Tyrol. 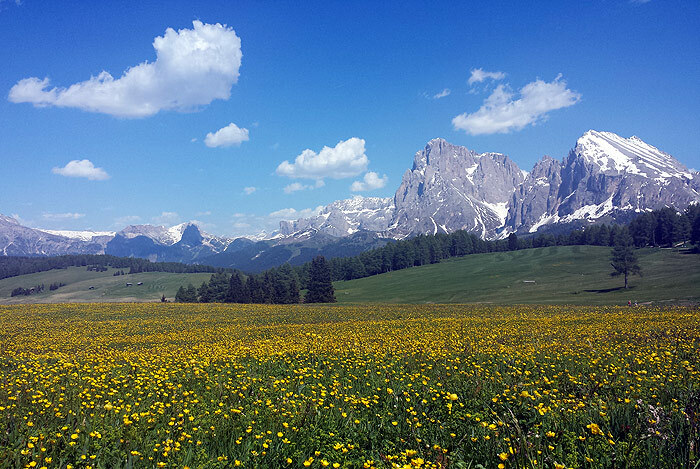 The Alpe di Siusi is always worth a visit. 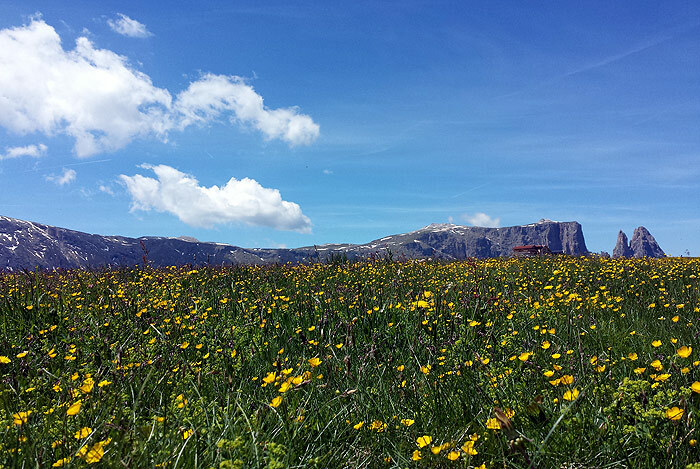 In summer, an amazing offer of hiking paths through the breathtaking mountain area of the Dolomites is awaiting you. The offer ranges from peaceful and comfortable walks through forests and meadows to exhausting mountain hikes over rough and smooth. Passionate cyclists can look forward to thrilling mountain bike trails and downhills of any level of difficulty. If you want to climb the mountains in the UNESCO World Heritage instead of hiking uphill a wide range of vie ferrate, climbing routes and walls will be at your disposal. No matter what activity you choose, a breathtaking view of the surrounding mountain peaks and meadows as well as of the unique flora and fauna of the largest mountain plateau in Europe is guaranteed. In the winter season, the skiing areas Alpe di Siusi and Dolomiti Superksi offer 1.200 km of well-groomed slopes and highly modern ski lifts to practise the wonderful skiing sport. Thanks to the varied offer of the ski schools in the Sciliar area, beginners as well as experienced skiers will find perfect conditions for skiing. A well-developed cross-country skiing trails network on the Alpe di Siusi of over 80 km allows cross-country skiers to practise their favourite sport during the winter holidays. A fun park for snowboarders, toboggan slopes and neat winter hiking paths are also available. If you want to try a new leisure activity then guided snow shoe hikes or ski tours are at your disposal. Look forward to a relaxed and unforgettable holiday experience in the incomparable landscape of the Alpe di Siusi at the foot of the majestic Sciliar.